A new photo essay by Noritaka Minami followed by a discussion about architectural strata. Marcus Civin: Nori, I invited you to Baltimore because I was worried I was getting used to Baltimore. Being here, I was worried I was forgetting to see where I am. I thought you could help me see this city again. You said you would like to focus on photographing some of Baltimore’s buildings. So, you came in from Boston and we drove around with your cameras and your tripod. You had certain buildings in mind, buildings that you knew about before; others we stumbled up to. We had in mind a photo essay… And, here it is. Here we are. 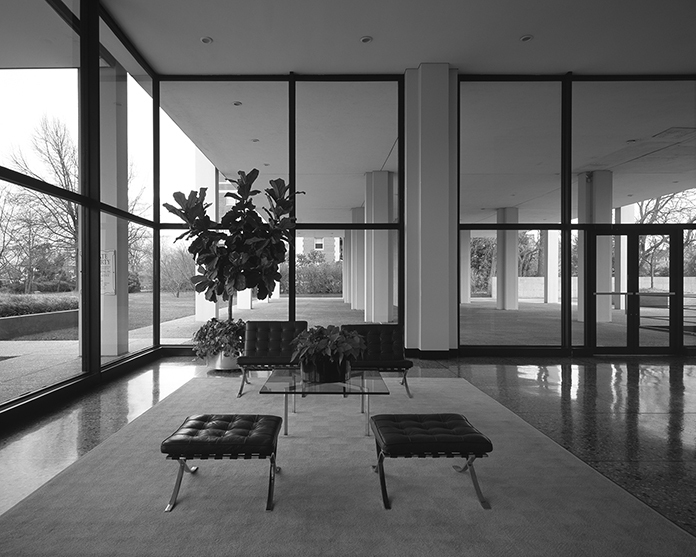 In order to describe what is here, should we start with Mies van der Rohe? 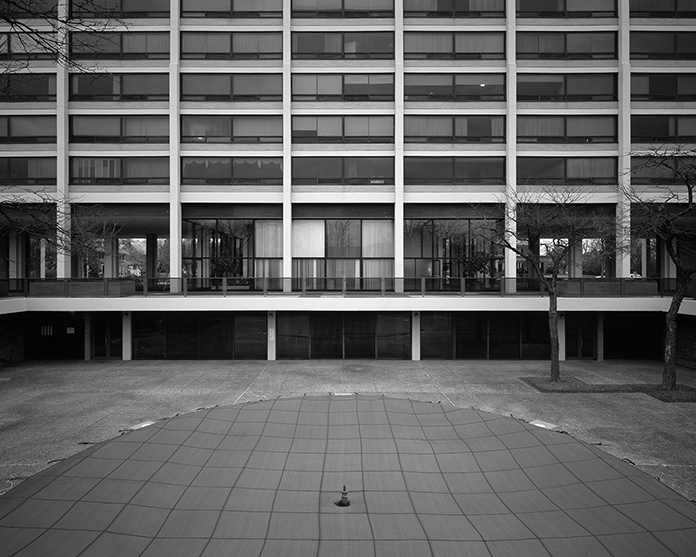 Noritaka Minami: Among the architects with ties to Baltimore, Mies is the most famous to contribute to the city’s postwar landscape. Both One Charles Center, and Highfield House are in exceptional condition. These 1960’s buildings apparently still serve the needs of their occupants. 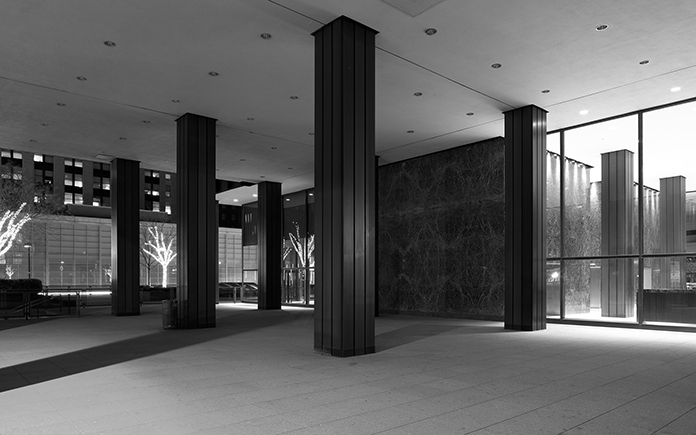 Mies’ style was very influential and has been emulated by other architects. 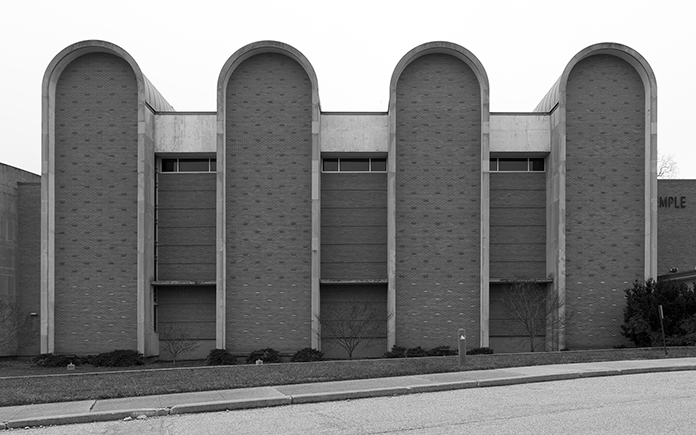 Some of the buildings surrounding his Baltimore projects owe their designs to his approach. MC: Why do you like most about Mies? NM: At first glance, the buildings appear to be so simple. Yet, when I visited the actual buildings, I realized the sophistication of his design of the space and the attention to small details. I became even more impressed with the architect after seeing neighboring buildings that are clearly indebted to his style, yet are less satisfying as buildings. MC: Mies built the two buildings just two years apart. One Charles Center opened in 1962, I believe… Highfield House in 1964. I imagine myself going inside these buildings, passing through their lobbies. And I’m having an odd daydream. In my daydream, I function in both buildings; I live in one and work in the other. What do you think it would be like to live at Highfield House while also working at One Charles Center? 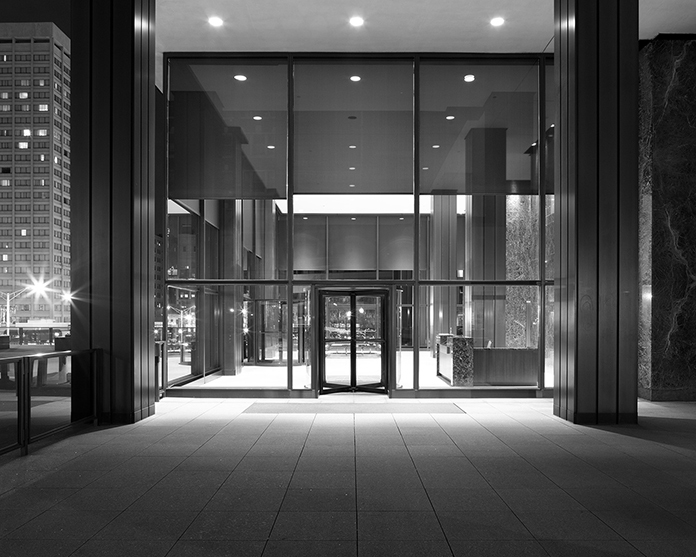 NM: Interesting how the exterior of the business tower is a dark-colored material while the exterior of the condominium features a light-colored material. Maybe color helps in suggesting the mood appropriate to the intended function of each space. 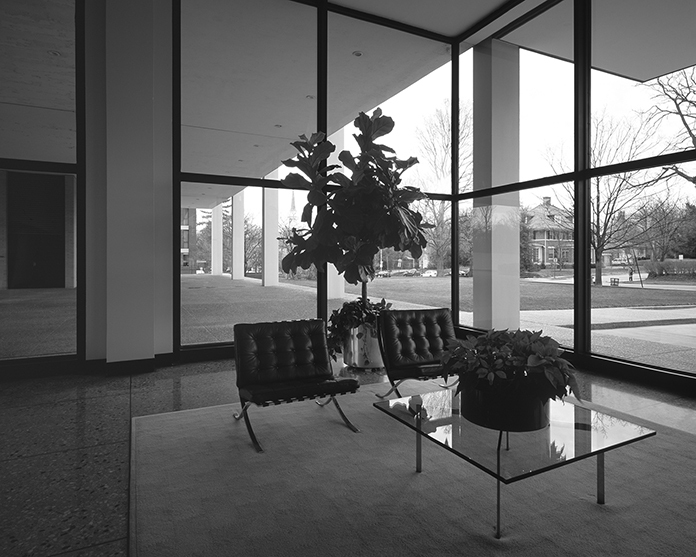 I think today, if one were to live in a Mies building, then commute to work at another Mies building, at the very least, there would be novelty to that lifestyle. Not everybody is interested in the history or cultural significance of buildings. I think many people are simply interested in buildings for practical ends such as how they function, convenience of location, property value, etc. But it would certainly be an interesting experience if the person who both lives and works in these two buildings were also conscious of architectural history. I think with Modernist architecture, there was an emphasis on the separation between work and home. But to live in a Mies building, then commute to work at another Mies building… A clear sense of separation may become harder to achieve! John M. Johansen’s Morris A. Mechanic Theater is nothing like a Mies building but it stands only a few blocks away from the One Charles Center. The Mechanic opened in 1965 and it has been vacant since around 2004. 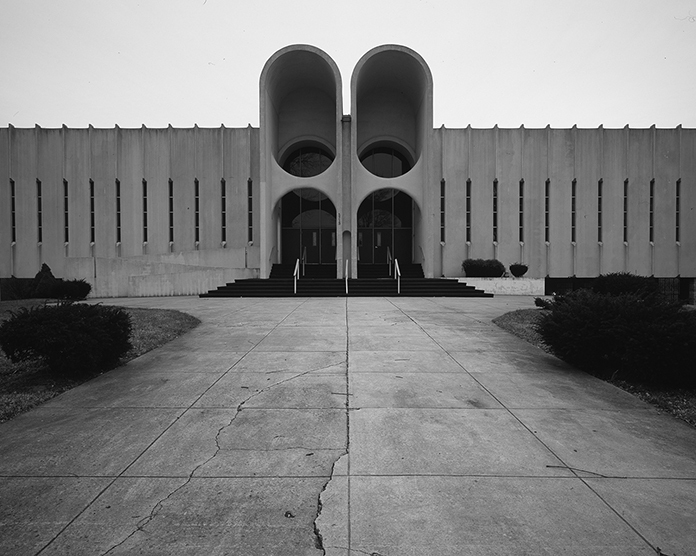 This building represents the architectural style known as Brutalism. 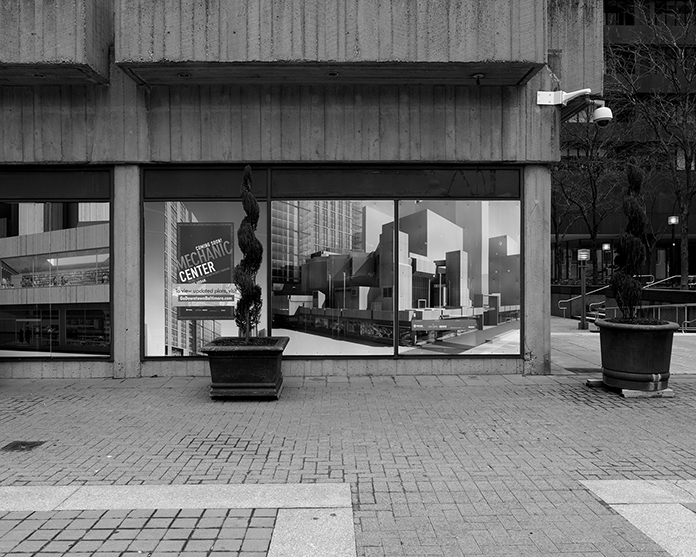 The common criticism of Brutalism is that it is ugly. There is certainly a disconnect between the Mechanic Theater and its surrounding environment. As I understand it, redevelopers are offering to save the shell of the theater, with the rest of the interior gutted to make way for a condominium tower that is in line with the current fashions of upscale urban living. I have seen lots of Brutalist buildings in other parts of the United States that are not visually interesting in my opinion. However, the Morris A. Mechanic Theater in Baltimore is very interesting to me. MC: What about the Mechanic Theater is interesting to you? 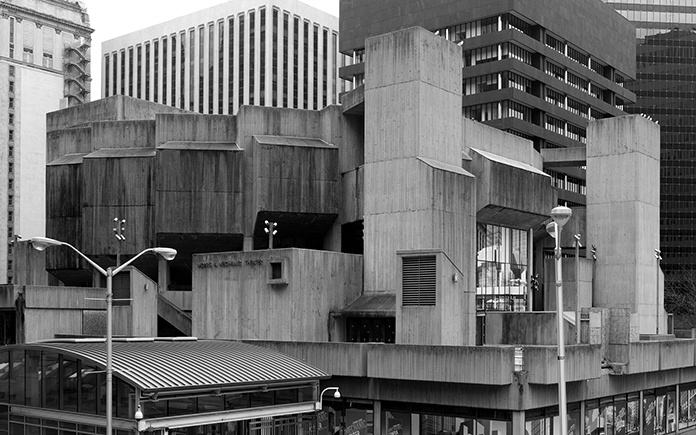 NM: I think the bare concrete surfaces of Brutalist buildings can appear relentless in comparison to other surfaces. The concrete accumulates dirt and wear as time passes. Maybe this element of decay compounds the distaste people already hold for the bare concrete of these structures. Yet, I also think it’s possible to see the patina of age that develops over these surfaces as being quite beautiful. The sculpted quality of Johansen’s theatre creates a dynamic architectural presence downtown that stands in contrast to the sleek high-rises that dominate the area, such as Mies’ One Charles Center. This is despite the fact that they are only a couple years apart in construction. The sense that the Mechanic Theater is an anomaly has most likely intensified in the recent years, as the facility is no longer regularly maintained. When I first saw the building, the façade appeared like a giant rock formation in the middle of a city. MC: How would you feel if the Mechanic Theater went completely to rubble? NM: I would like to learn how much the redevelopment of this site would benefit the neighborhood and respond to the challenges the neighborhood faces today. And, will that benefit outweigh the loss that comes from the demolition of the building? The Mechanic Theater is an iconic work from an important American architect. Modern architecture often faces difficulty in receiving consideration for preservation because the buildings were made in the relatively recent past. But the Mechanic Theater is an important work in American architectural history. Johansen was a member of an influential group of architects associated with Harvard, known as the Harvard Five. I also don’t think the Mechanic should simply be preserved as a shell. I am sure it is possible to search for creative ways to repurpose the building without compromising the integrity of Johansen’s design and reducing the building to a mere façade. 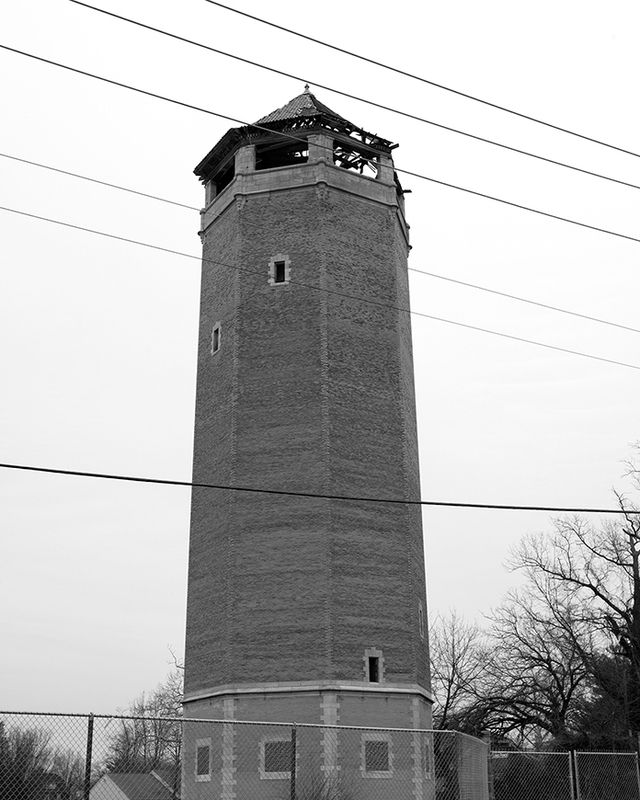 I think it would be irresponsible to simply eliminate major parts of this distinct structure that holds cultural significance in order to build a mixed-use tower that looks much like one you would find in any other city and could arguably be placed anywhere else in the city where land is available. I’m not necessarily against demolishing buildings that no longer serve a positive purpose for the occupants or the community at large. But in this debate, there also needs to be a dialogue about what’s not necessarily visible, which is the cultural value of a building. There are buildings that stand out because of the significance in their designs as well as their historical connection to the city. A certain building’s importance may be difficult to comprehend right now. But what will the presence of that structure mean in the future as a tangible form of memory? Looking at this from yet another angle, in the distant future, when there’s an archeology of artifacts from this moment in human civilization, I wonder if the archeologists would be more interested in a Mies Van Der Rohe building or a giant chicken restaurant sign? 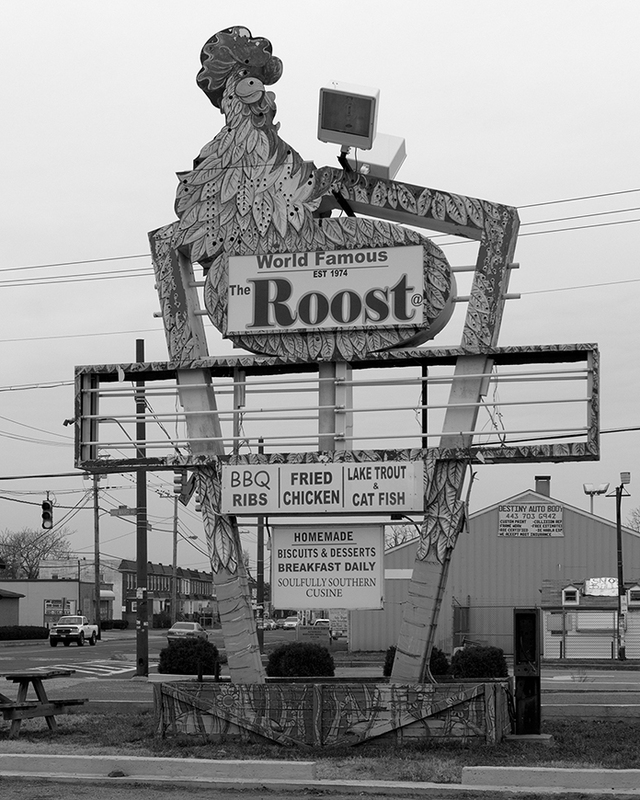 A restaurant sign is a prime example of American roadside culture. In the future, it may hold equal weight to a Mies building in reflecting back on this period of humankind. MC: What might seem trivial or even woefully out of style right now could become an important record of the way we lived and what we thought about—how we eat and drink, how we store what we need, where we work, where we seek entertainment, where we shop or don’t shop, where we worship, how we live alone or on top of each other. NM: The contemporary architect and theorist Rem Koolhaas analyzes how certain buildings are selected for preservation over others and how those decisions influence our collective memory and the representation of history in urban space. I think there are many cases in which people advocate for demolition of structures in the name of redevelopment. I think certain types of architecture receive preferential treatment because, for whatever reason, preserving those buildings is seen as a good choice on both economic and cultural levels for the vitalization of a limited area of the city. The poor are often marginalized in buildings that are not only aging but are also becoming dilapidated. I think the immediate concern would be to improve quality of life for those residents. If those aging structures hold historical value, preservation should play a part in decision-making about those aging buildings. But ultimately I think the main goal should be the development of new affordable housing or the renovation of the current residences. MC: I wonder if you want to say why you make pictures of buildings. Why do you record buildings? 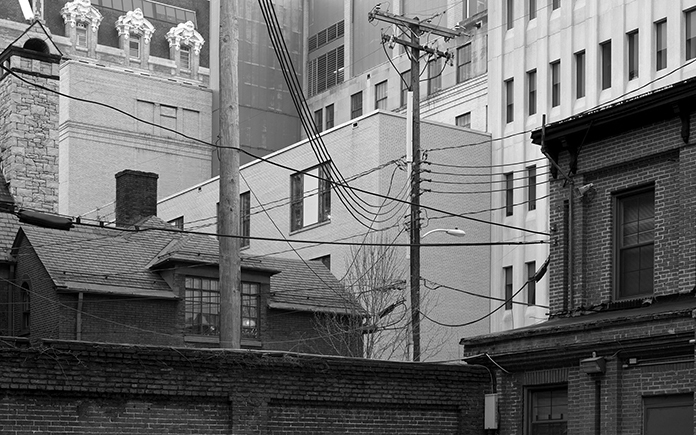 NM: In a large city like Baltimore, there’s no shortage of buildings to photograph. That’s why, as an artist, I think it’s important to identify specific buildings that might be worth recording. It could be buildings designed by famous architects that were innovative at the time of their completion. It could also be a piece of kitsch like a roadside sign from the mid-century. My goal is to take photographs of buildings that are not simply interesting on a visual level, but what they represent on cultural and historical levels… There are some structures that stand out in terms of their presence. 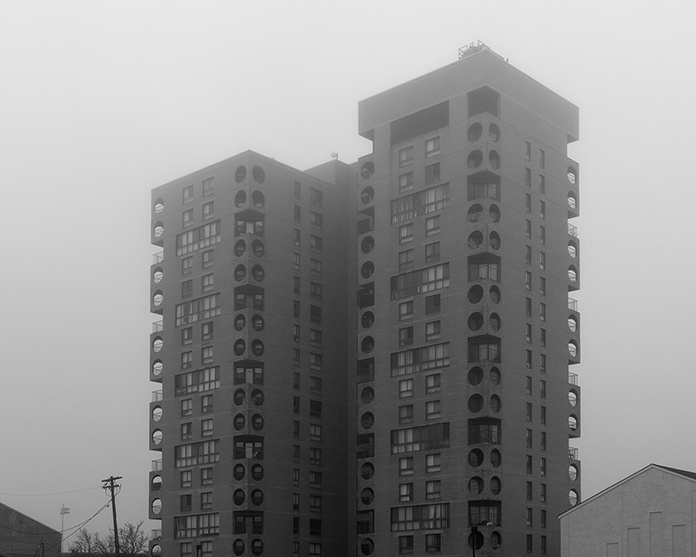 Take James Rossant’s Monument East, an apartment structure for the elderly on the east side of Baltimore city. The distinctive circular openings of the balconies for this monolithic structure suggest that it was an ambitious undertaking. The building now stands overlooking an area challenged by poverty and blight. The deteriorating structures of the neighboring Old Town were completed in 1976, and were intended to be a lively shopping corridor. MC: I’m struck now in a new way by your picture of the architectural strata of Baltimore; this somewhat anonymous-feeling photograph seems to sum something up about our travels through Baltimore together on your visit here and also it seems to speak to your ideas about architecture as historical record and collective memory. I wonder: how do you feel about this photograph of Baltimore architectural strata now that some time has passed and you are no longer in Baltimore? NM: In a single view, the numerous styles of architecture from different periods of the city come in focus within the frame of the camera’s viewfinder. The city was built over an extended length of time. Buildings were cleared for new developments, but some structures remained. The physical history of the city is visible. It’s a culturally rich experience to be in a city where that strata of built environment is present in front of you. MC: You and I are both visual artists. Do you think architecture matters for contemporary visual artists? NM: Artworks have been traditionally contained within the space of architecture. Even if you do not show your work within the space of a gallery or do not make objects, if you are an artist, your work will probably occur in relation to a built environment. MC: And, artists are influenced at least in part by what they see, what is around them… What do you think is the mood of these photos? Maybe it’s the black and white, maybe it’s the foggy weekend we had while you were here, but there is a certain mood in these photos I think. How might you describe that mood? NM: With black-and-white images, you obviously don’t need to pay attention to color. I hope that enables viewers to pay even more attention to the details that are present on the surfaces of each of these spaces. 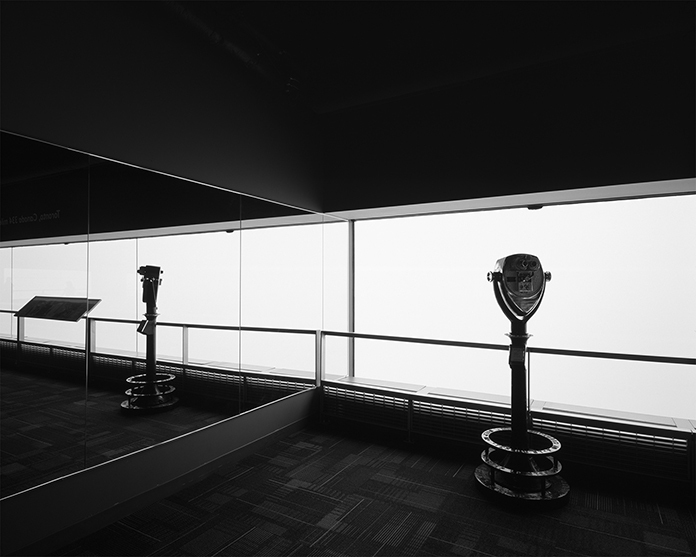 With black and white, I’m trying equalize all of the spaces somewhat, to create a very straightforward and seemingly detached observation of each space. MC: What do you think you will you most remember about Baltimore? NM: It was one of the few times where I saw in a major city an abundance of housing instead of a housing shortage. Moreover, what stood out to me was how many of the rowhouses in Baltimore are sitting vacant. This is probably unimaginable in cities like Tokyo or New York. This situation with the existing housing within and around Baltimore seems like a symptom of myriad challenges the city has faced in the second half of the 20th Century. I hope this situation with the existing housing in and around Baltimore will be viewed as an opportunity to create positive transformation. Noritaka Minami is a visual artist based in Boston, Massachusetts, where he teaches photography. He received a BA in Art Practice from the University of California, Berkeley and a MFA in Studio Art from the University of California, Irvine. A solo exhibition of his work was held at the UCLA Department of Architecture and Urban Design in 2012. Art Criticism in What Weekly (whatweekly.com/artcrit) is made possible with the generous support of the William G. Baker, Jr. Memorial Fund, creator of the Baker Artist Awards, www.BakerArtistAwards.org. Marcus Civin grew up in Baltimore and edits these art criticism articles for What Weekly. Civin and Minami studied together at UC Irvine. For more information about this art criticism column, please contact marcus@whatweekly.com.